Kitchen Paint Ideas: What Mood Do You Want Your Kitchen to Have? What Mood Do You Want Your Kitchen to Have? 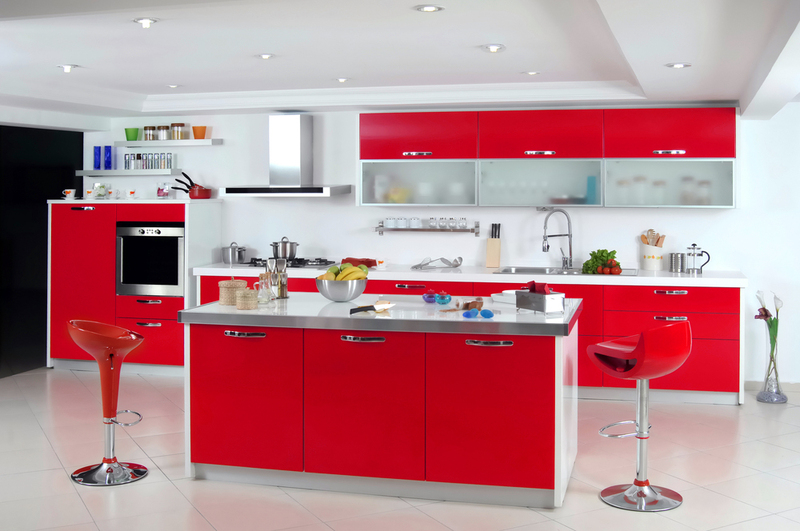 Did you know that the color of your kitchen, or any space for that matter, can significantly affect your mood? This phenomenon has to do with what is known as color psychology, in which it has been proven that certain colors and hues can incite a corresponding emotion or behavior. That’s why you hear of idioms like “green with envy” and “tickled pink”. The kitchen being the center of the home, you may want to give a lot of thought on how you decorate it. Careful consideration should be given not only to your personal style, but also to the effect it will have on your well-being and that of others. Whether you want your kitchen to radiate energy and cheerful vibe, stimulate everyone’s appetite, or exude warmth and tranquility, you will find that a simple touch of color can make all the difference. Check out these kitchen paint ideas that won’t leave you feeling blue. The kitchen is called the heart of the home because it is the place where family and friends come together to spend quality time over good food. In terms of color, there’s no shade better in signifying love and intimacy than red. It denotes passion, able to release emotional blockages. Not to mention that it is known to boost overall mood and stimulate appetite. However, red is a powerful and overwhelming color. When it comes to the kitchen, there’s beauty in subtlety. To get the best effect, better use red as an accent to highlight furnishings. Similar to red, yellow is known to whet the appetite. It’s the reason why most fast food chains use red and yellow in their logos. 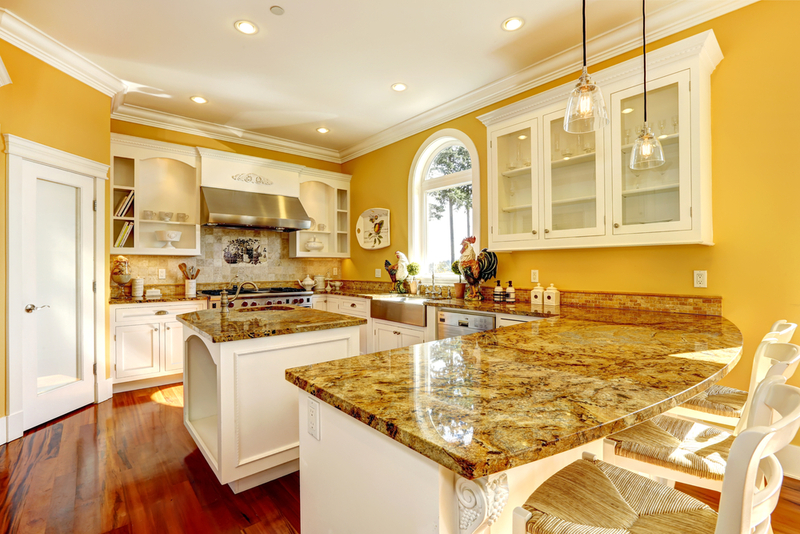 On the other hand, yellow brings in a bright and optimistic ambiance to the kitchen. Often associated with laughter and happiness, yellow is literally a ray of sunshine, pleasing to the eyes and uplifting the mood. It also helps maximize light and suitable on any surfaces such as the wall. 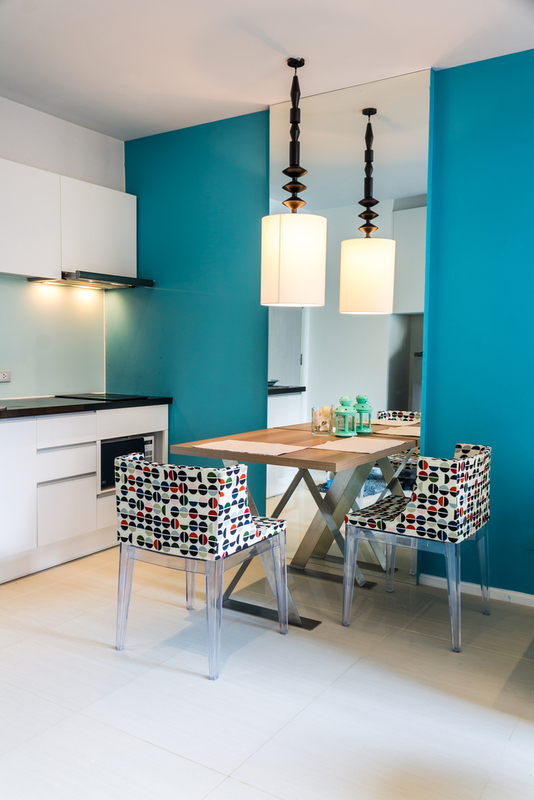 Signifying serenity and peace, the color blue can make your kitchen a relaxing oasis during tough days. Due to its calming properties, it is said to help bring down blood pressure, slow down heart and respiratory rates. Blue is certainly a positive color that will make your family and friends feel welcome and more at home. Like red, it’s best to use any shade of blue against a lighter backdrop and for further accenting furniture and furnishings in the kitchen. Violet and purple are rich colors, literally. These denote royalty and wealth. In the same way, it lends an elegance and sophistication to the kitchen. Darker shades are particularly ideal for off-white and cream-colored backgrounds while lighter hues look great on white. You can use this color on accent walls and as a theme for your furnishings such as tableware, rugs and other decors. Like blue, green can give you a relaxing environment that is similar to that of the great outdoors. However, the color has the added benefit of making you feel refreshed and encouraged to choose a healthier lifestyle. 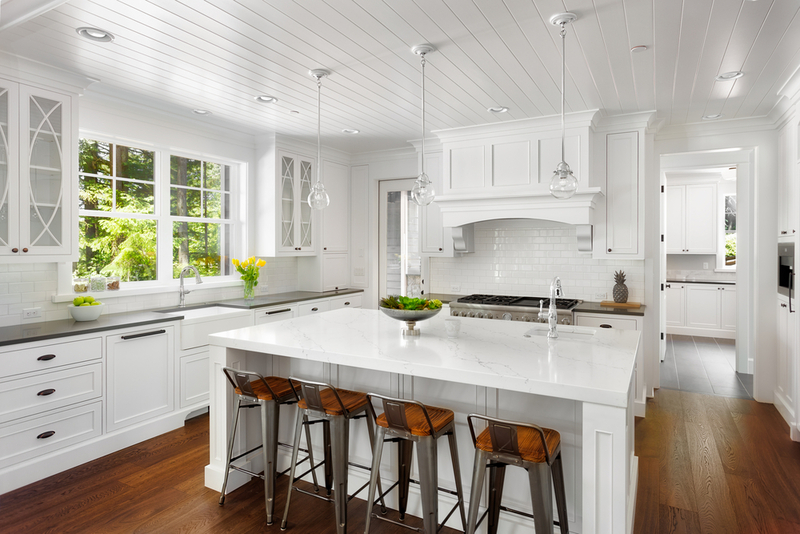 Signifying purity, cleanness and new beginnings, white kitchens never go out of fashion. It is simple yet sophisticated, and it makes the kitchen seem bigger. Unlike other paint colors, you can never have too much white on your walls and accents. No matter what mood you’re in, Let it B has the right palettes and paint for you. 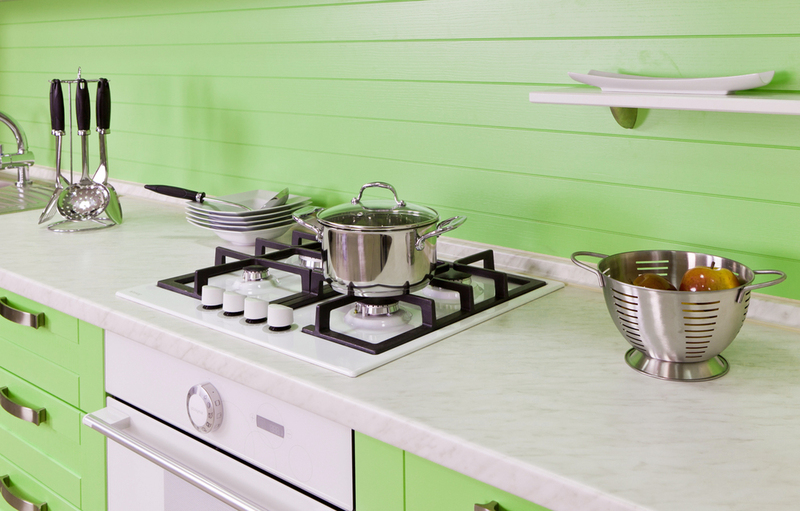 Boysen has Healthy Home, the perfect paint for a kitchen because it is antibacterial and odor-free. Check out Healthy Home’s many colors. 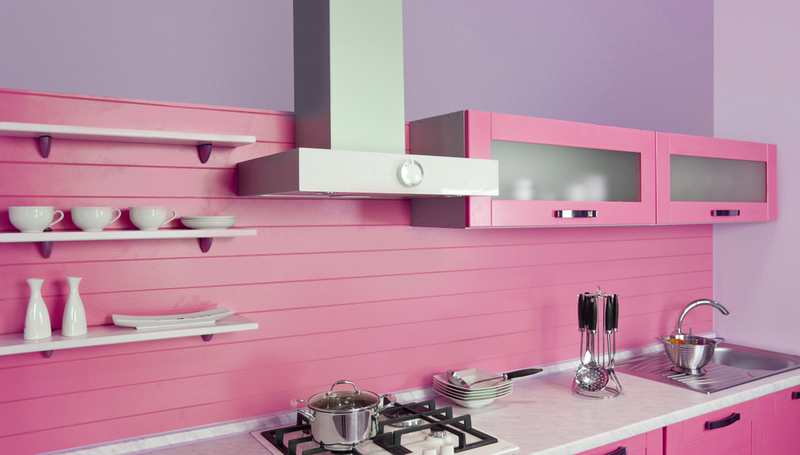 Here are our kitchen paint ideas but stay tuned for more! For more information, send a message to ask@myboysen.com.